It's Christmas wedding season but on top of that it has been a year for a lot of our friends getting married. When you've spent months and months on wedding preparation, or probably years it can be exhausting to want to think of anything associated with it. 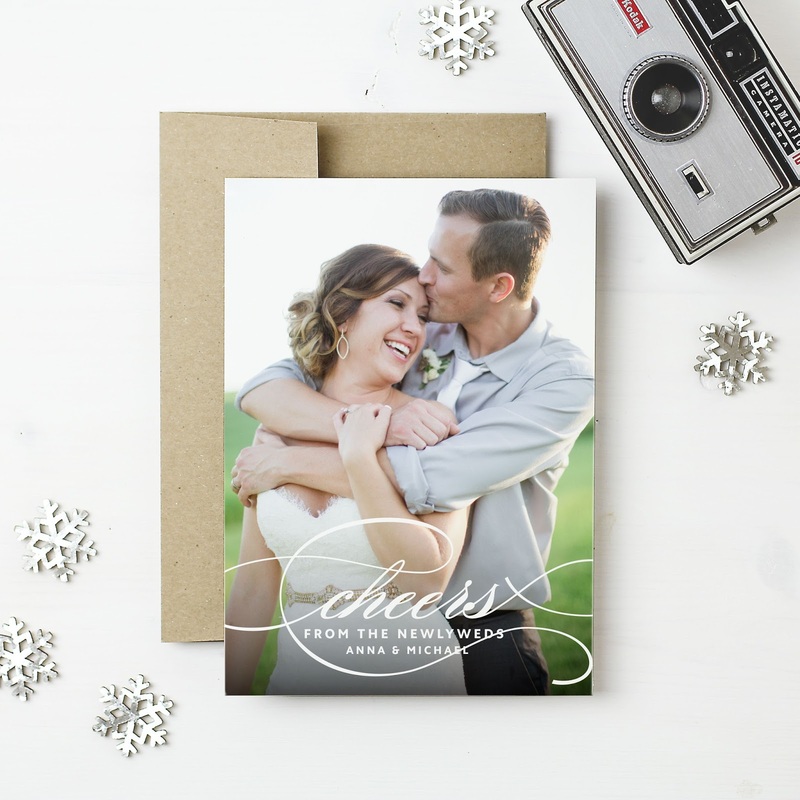 One of the best ways I've found if you have had a wedding this year, or especially if you're like us, and you've had your wedding half way around the world, is to use your Christmas cards as a fun way to show your wedding photos to friends or family. Perhaps you have been holding off on your thank you cards as you got married in the second half of the year. I've got a pretty good way for you to combine your wedding thank you cards, with your Christmas cards. So you've got your wedding pictures back, your wedding presents have arrived from whatever store you've ordered them from. 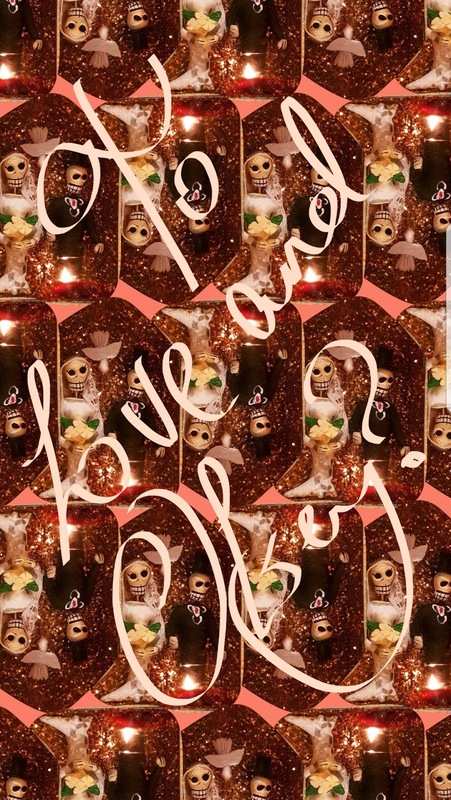 Instead of sending out thank-you cards, and Christmas cards, wrap the two into one, pick your favourite wedding picture and give it a little bit of a Christmas spin with a customised card which you can of course prepare however you want for your family and your friends. Good wedding etiquette says that although it's acceptable to send out your wedding thank you cards up to a year after the ceremony, no later than three months is ideal. I had my cards ordered before we had our Belfast wedding reception and was writing the thank-yous a couple of days after, for me it was a relief to be signing everything off. So if you're wondering how to best do it, let me make it super easy. 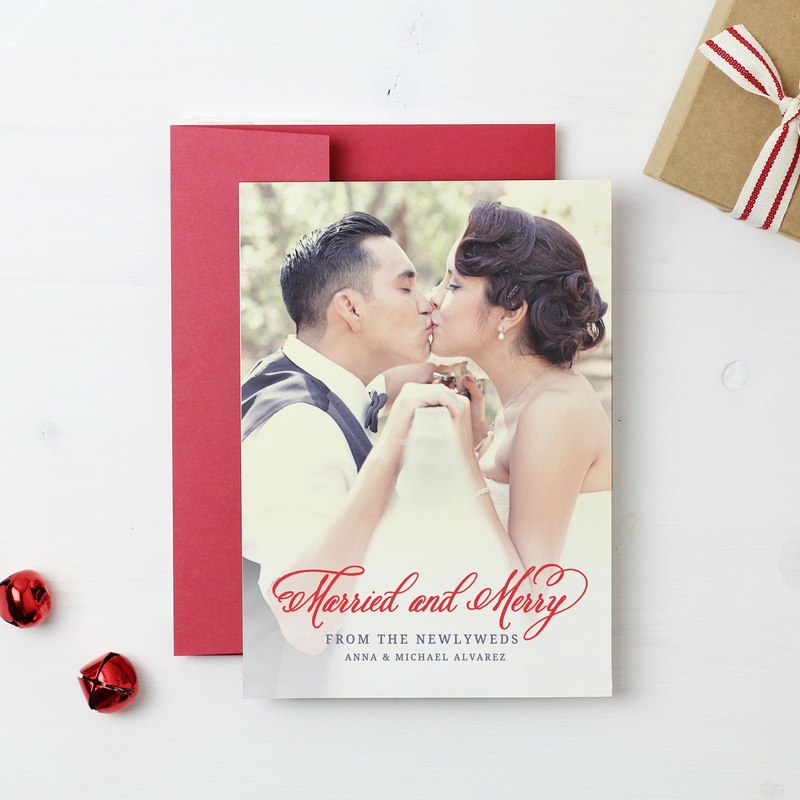 Grab that wedding picture you love, head onto a customisable site, these ones are based on modern invitation styles, not only wish your recipients a Merry Christmas, or Happy Holidays but also thank them for their gift to you. Heading back into our etiquette guide, if you're wondering, here's a guide for what you should put in your thank you cards. Good etiquette also states they should be hand written and personalised! Thank you so much for coming to our wedding, it was wonderful to have you there/ we were so sorry you couldn't make it to our wedding, you were missed. We want to wish you a very Merry Christmas and thank you for your wonderful present. We were so grateful to receive your (insert what the gift they gave you was) we are so excited about using it to (add what you may use it for or how it will affect your lives, remember if you're using this as a Christmas card, feel free to talk about how those new dishes will be the basis of your first Christmas dinner together etc). We want to say how much we have both appreciated your kindness and your presence on our special day. We hope you and your family have a wonderful Christmas and a successful New Year. Feel free to use the little template I've given you above to give you some inspiration for your own cards. Joining Christmas and thank-you cards can be a lovely way to not only cut down your postage but do something really special. There's foil options you can have, so if you want to have your lettering rose gold foiled, or red, gold or silver go ahead and do it. Maybe you want to match your invites to your thank you notes, or go for the options that print a customised seal sticker with your order. Essentially doing both allows you to make your thank-you Christmas cards really something fabulous. Pick your colours that are going to match your invitations, or are going to give you that festive look. Go mad, with shades and colours, don't forget to use sites like Basic Invite which will offer you a sample, and 180 colour choices for your colour schemes. Also make life easier for yourself by using a contact link, which you can share on Facebook, or Twitter, which will capture all of your friends addresses cutting down on any hassle, you can use it for any invitation birthday card, thank you card, so going forward you don't need to worry about keeping up to date with new addresses. So that's my wedding hack which hopefully should make this festive season a little bit easier for you. Take the money you would have spent on both and make one really fabulous card.